People are watching YouTube video more than ever before. Being a YouTuber is a cool thing now. It’s rewarding as well, however, starting a YouTube channel is not as easy as it looks. The competition is so high these days that shooting videos from the hip no longer works. Right from the scripts to the shoots and to the editing, everything has to be top notch. While all this can be difficult to master, you don’t have to worry about your YouTube intro. 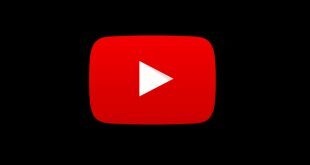 We, at TechWiser, have come up with some amazing apps and online resources that will help you to make a professional YouTube intro in a jiffy. In fact, most of these tools we have used personally on our YouTube channel as well. Let’s begin. In this article, we will see how you can create a YouTube intro video on different mobile and desktop platforms. A lot of YouTubers shoot their videos on their smartphones and why not? Smartphone cameras have come a long way and some of them are often compared with DSLRs. It makes sense to edit the video on your Android so you can upload it to YouTube directly. 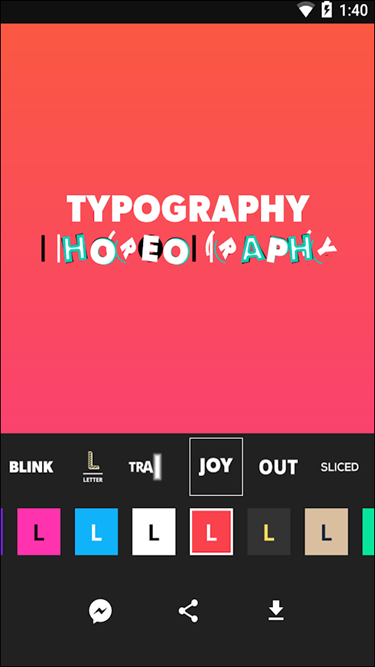 Legend is a popular app that will help you create text animation for YouTube videos. 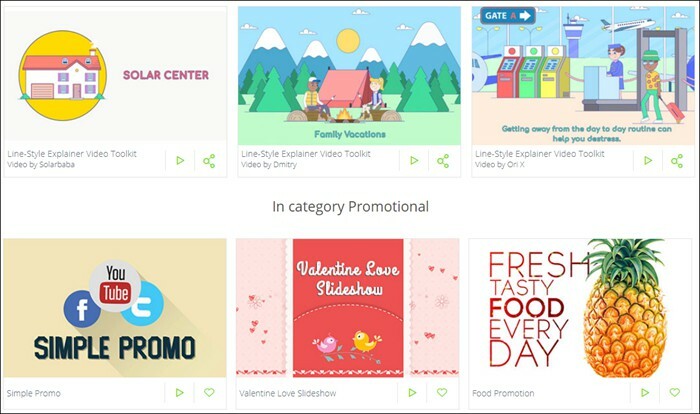 Legend comes with a number of free templates or animation videos. All you have to do is add text to it and you are good to go. You can create a combination of background color and animation style for maximum effect. The background image search is powered by Flickr so rest assured, you will find some pretty awesome images in the public domain. Note that text can be 100 characters long and animation videos are square by default but you can switch to landscape. The first 6 animation styles are free while the remaining 20 can be bought individually for $0.99 a pop. If you want to be more unique in the sea of all the YouTubers, instead of using Legend, you can try Quik. You can then use the Legend app in the mid-section of your video to introduce titles. There are no watermarks. From the makers of GoPro comes another winner. Quik is an amazing app that will allow you to edit your images and videos and create new ones like a pro. Afterall, GoPro has an image to protect. Like Legend, Quik offers many built-in templates that you can use to create your intro YouTube video on the fly. The only difference is that the templates are even better than the previous app. 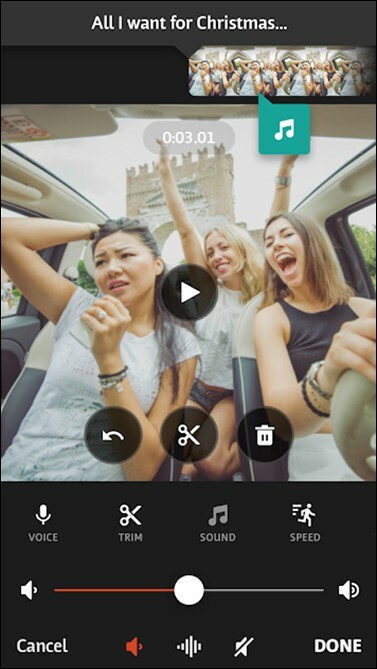 Where Quik excels is its ability to automatically look for cool moments from the videos and images that you have added and sync videos to the beat the music. This is really important to create an effect that leaves a lasting impression. You can choose your own moments from the videos too. 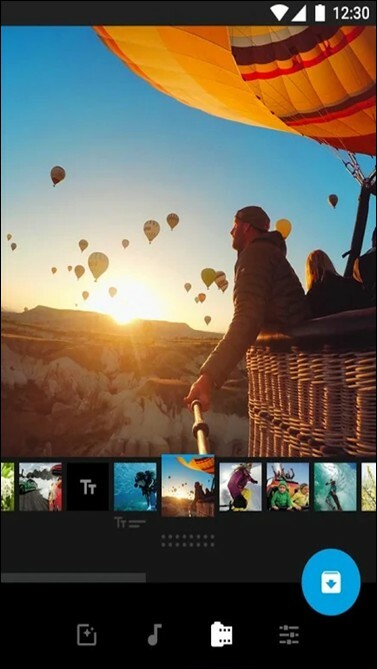 Quik will allow you to add up to 75 images which you can import from the gallery, cloud or even your GoPro cameras. There are 80 free soundtracks but you can use your own which offers flexibility. You can get free video stock footage for the intro background from Pexel in case you don’t like what you see at Quik. Note that Quik app is also available for the iOS platform. Since you can add text animation on top of the video, Quik is a good choice for vlog type of YouTube intros. Videoshop made the list because it offers more filters, effects, animations, and soundtracks to choose from. Like the last two apps, Videoshop will allow you to create cool YouTube intro videos. Just add the video, images, and text and choose from the many effects and animations to complete the final look. You create and use your own voice using the voiceover option. You can also play the video in reverse or in slow-mo. The app is really good but not completely free. There are some filters and animations that you can use while others are available in the shop for purchase. I guess that’s why they used the word’shop’ in their name. There is no watermark added and the output can be customized based on what you want the resolution and framerate to be. Intro Maker sounds like a generic name and you might feel that the app is not worth it but it is. The Intro Maker for iOs will help you do what Quik and Legend will allow it’s users to do on Android. There are free templates to choose from and you just have to choose the one that you like. You can then add text and apply some effects and animations to complete the look of the video. 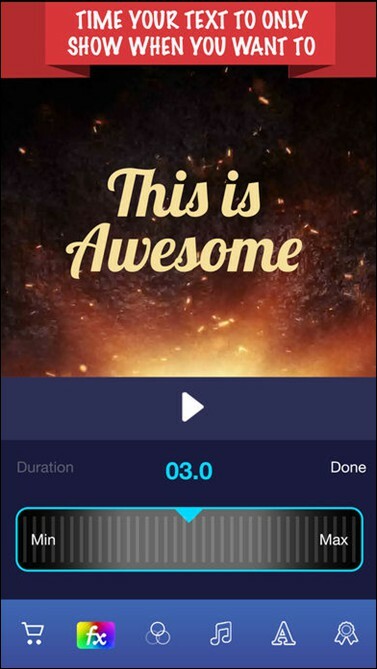 Intro Maker offers more than a dozen animations and effects to choose from is often recommended by our iOS readers. Panzoid is a YouTube intro maker that is more suitable for YouTubers who are into the gaming niche. You begin choosing a scene for your video and then begin adding effects. Unlike the apps, you will find more options here. For example, Objects. This is where I was able to add text, shapes, structures, and objects in the video. I like the ability to add 3D effects which can take your viewers by surprise. There are several soundtracks to choose from and you can make it fade, control volume and offset. Similarly, you will find a host of options in the video editing section. Panzoid allowed to me make a lot of customizations including background color, animation effects and color, and even ground texture. I found Panzoid to be free and there were no watermarks added which makes it an amazing platform for YouTubers with gaming channels. But, this is not to say that others cannot use it. It all depends on your creativity and how you use the tool. While Panzoid was more suitable for gamers who are looking for sharp colors and effects, it is not everyone’s cup of tea. A lot of users prefer minimalist and flat colors which is why, depending on the niche you are operating in, you would like something more subtle. 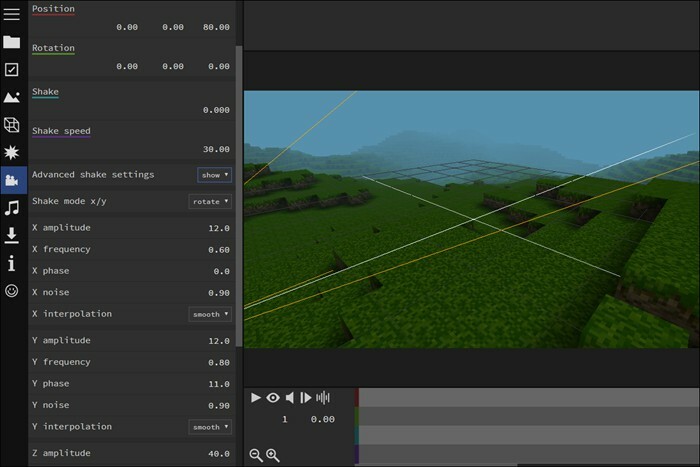 Render Forests offers even more templates to choose from and they are different when you compare it with Panzoid. There are literally thousands of scenes to choose from which makes it fun to choose the perfect one for you. What I like about the platform is the abundance of user examples. For every template and scene, you can see a number of example intro videos created using that template. This gives you a pretty good idea of what you can do with the said template. The only caveat is that the free templates come with watermark. They have a pricing plan in place that begins at $15/month. You also get online storage and more access to soundtracks and animations as you move higher through the plans. For most users though, the Amateur plan should be enough. While Render Forest is really good, it can be also expensive for some YouTubers, especially those who are just starting their journey and don’t know any better. This is where Velosofy comes into the picture. There are tons of free templates to choose from and they are don’t add watermarks either. Velosofy offers an amazing collection of Sony Vegas and After Effects templates that you can download to your computer as project files. This is where Velosofy differs from the previous apps and tools. You will have to download the required template files and work on it using a software like compatible software. Though Veolosy is free to use and licensed under the Creative Commons so you can use it for commercial purposes too, you will have to give credit in the description. This is fair and won’t really affect your viewership on YouTube. Editing the templates should be easy. If you are not sure, simply change the text value to your brand name and message and you should be good to go. Alternatively, you can watch the Velosofy YouTube channel. VideoHiveblew my mind with over 6 million stock footage and video effects to choose from. If you ca n’t find what you are looking for here, then you must be really out of luck. 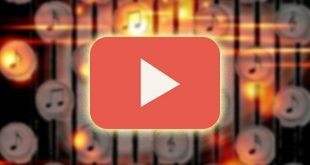 Owned by Envato, there is a lot of choices when it comes to making intro and outro YouTube videos. Instead of the monthly subscription package, VideoHive has a per-template price. What I liked is how all the videos are organized into categories and sub-categories up to 4 levels. This makes it really easy to narrow down to your chosen niche and find a video that portrays who you are and what you stand for. The videos are high quality and the effects can be really cool. All you have to do is purchase and download the video and edit it to reflect your brand and message. They also offer a lot of freebies in the form of stock footage that you can use if you want. Check them out before buying anything. We got our TechWiser intro from there. While it’s not the best, it offers more customization option. 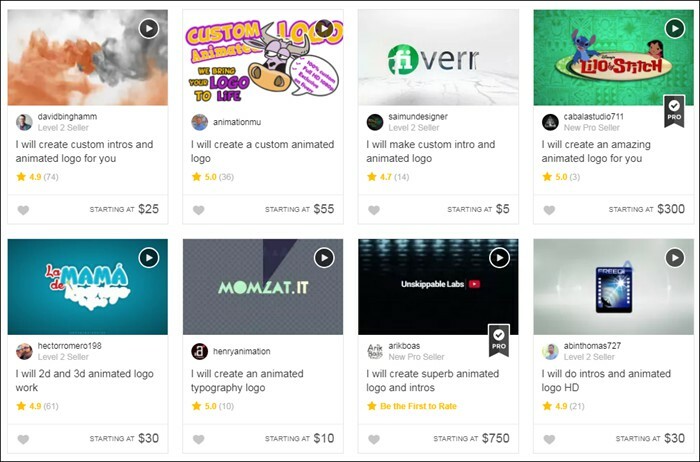 Most gigs on Fiverr will cost you $5 but intros can begin higher. Back in the day, we used to use Fiverr for both YouTube intro and outro videos. To being with head over to Fiverr and search for “YouTube intro and outro“. From the search results, choose the one you like and contact its seller for the gig. You will have to provide your company logo and some instructions to begin with. In our experience of using Fiverr, the quality is not the best but you get your money worth. Having a good YouTube intro, make a big deal. But, you don’t have to worry about it in the beginning, Just use any of the above apps for the time being, and once the channel get traction, you can get it outsourced to an agency to even make it in-house.